(If you want to know the rest of the lyrics and listen to the song, it can easily be found by searching Youtube). We sang this song at Primary School, we had a really nice teacher who loved singing and playing his guitar with us. At the time I didn't give a thought to the lyrics and just sang to my heart's content. 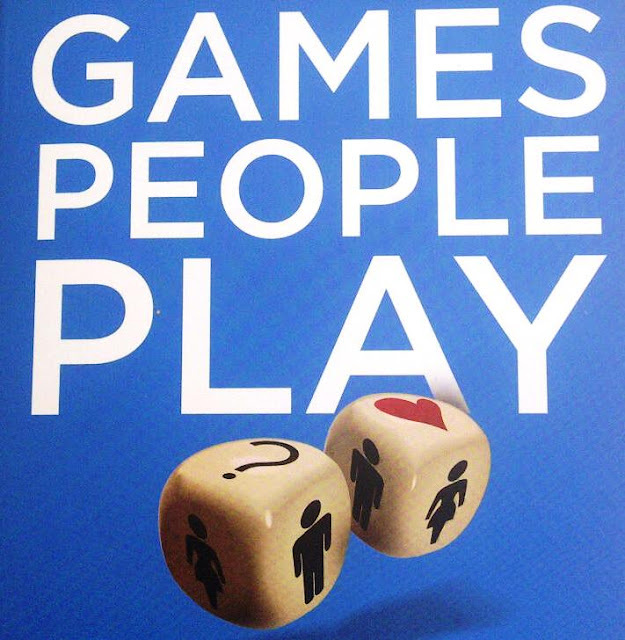 I have recently found out that this song was probably inspired by a 1964 book by Psychiatrist Dr Eric Berne called Games People Play (The Psychology of Human Relationships) which focuses on the games people play when dealing with each other. I think this is really fascinating and am going to purchase it from Amazon to find out more. What kind of a person are you ? Are you a straight-talker, Are you blunt? Do you prefer to keep quiet until you are spoken to or are you jumping out of your skin to get your point of view heard? Do you believe in the old adage 'If you can't say anything nice, don't say anything at all? Or do you believe you have to be cruel to be kind ? I personally believe if you cannot say anything nice, don't say anything at all. I would never say something to hurt someone's feelings, I just cannot do it. I am honest but I would rather hold my tongue then be cruel. At the other end of the scale I will not give an empty compliment, if I say 'I like your dress', I mean it. Do you say things that you don't mean? I remember once telling a boyfriend that I didn't want a Valentine's card (not thinking for one minute that he wouldn't get me one) So why was I surprised to not receive one. He responded with 'well you said..... '. When we say we are fine - are we really fine? When we say 'No I don't need help' why do we then wonder why no one offers to help. I know I have been guilty of expecting my husband to read my mind and then have been upset when he hasn't. We make a conscious effort to talk and be straight with each other, no game playing. In the book Dr Berne identifies 3 roles/egos - Child, Parent and Adult, many negative behaviours can be traced to switching or confusion of these roles. He considers how these roles and how we approach people can affect us in our work life. He shows how different approaches will result in different responses. This all sounds really interesting to me and I look forward to analysing my own behaviour! I am sure we have all at one time reverted to a childlike sulk when perhaps it would have been better to respond in a more adult-like manner! Clinique Chubby Sticks Reviewed - My Summer Love!